When you are getting into archery, one of the most important pieces of equipment that you can find is a target. This is because you need it to start practicing. To get really good at archery, you need to fire thousands of shots and a target is the ideal equipment for that. Though it is possible to buy an archery target, you should also learn how to make an archery target of your own. This will save you money in the long run, and make some things easier. Before everything though, you’ll need to know why you need an archery target. Why not just shoot at various items or just a wall? There are several things that make targets important. 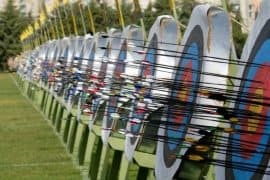 First, archery targets increase safety. Arrows, even field point arrows, are sharp objects traveling at great speeds. If they hit someone, they will get hurt. An archery target provides you with something to shoot at that will soak up the arrows. Instead of arrows just flying about, you will have a target that will take in all the damage instead. Second, archery targets help save arrows. Though we are in the modern age of mass production, arrows are still very special. Custom-made arrows are often made of materials that can be expensive. Even the ordinary wooden arrows are expensive since they require proper fletching and the like. Archery targets ensure that they don’t get damaged too much. For example, if you shot at a tree or something similar, the arrow will dig in deep and pulling them out can cause damage to the arrow. Besides that, the tip of the arrow will be damaged if you shoot it at something hard. 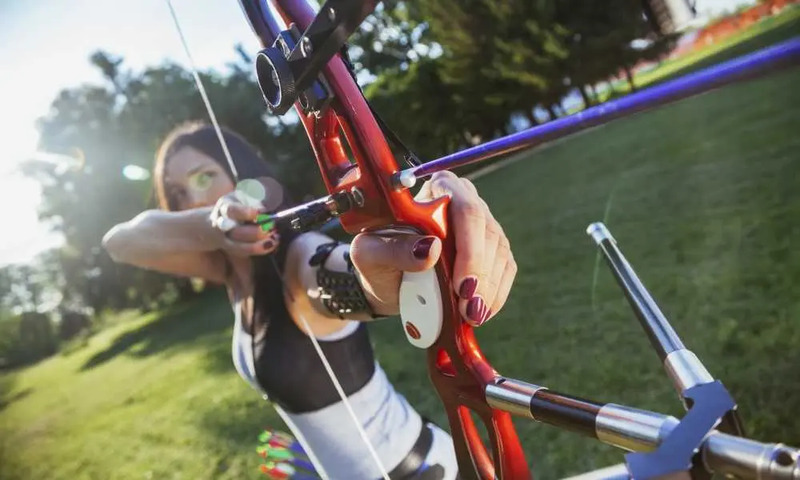 Most archery targets are made of soft materials that won’t damage metal tips. 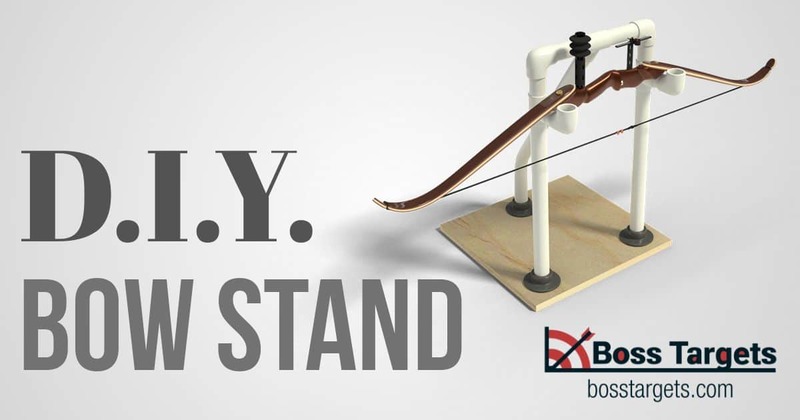 Finally, archery targets help you improve your accuracy greatly. When you shoot at an archery target, you often shoot at the specific targets on it. 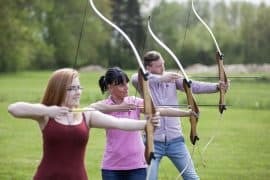 Seeing how well your accuracy has improved is a great step in ensuring that you develop your skill in archery. Now that you know what archery targets can do for you, you’ll want to know why you should make one on your own. 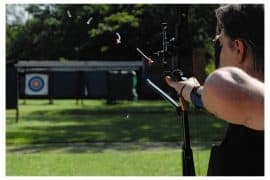 There are a lot of commercially available archery targets already so you can turn to them, but making your own has several benefits. Cheap. One of the biggest reasons why you should make your own targets is that it is cost effective to do so. A lot of the materials that you need for making a target are easily available. Some of them are even recyclable materials. Personalized. Commercially available archery targets often have specific sizes and shapes. If they do not have what you want, constructing specific targets that have the size and shape that you want is a good option. Disposable. As noted earlier, a lot of these homemade archery targets are made of recyclable materials. This means you don’t have to sweat about taking care of them. All you need to do is just throw them away and make a new one. There are two parts to look at: the stuffing and the frame. For a simple box target, the stuffing can be any soft material. One of the best choices out there is foam, but you can also get used clothes and rags. All the stuffing needs to be is that it is soft and absorbent. If you have access to hay, that’s a great choice. The frame is something else. You can find an old cardboard box to do the job. Pick a box that is a decent size. The average commercial target is around 18 inches, so pick a box that is at least that big. You can also choose to make a wooden frame. Constructing the target should be quite easy. For a box target, you should just fill up the box with your chosen stuffing. That’s simple to do. When done, just seal it up with tape and draw a target on one side. For wooden frame targets, you need a backing support, usually chicken wire or mesh. When placed, you then put in the stuffing. You then cover it up with some canvas so that the stuffing won’t fall out. With the targets constructed, you should be ready to go. Note that the box targets should be just thrown away when done. For the wooden frame targets, all you need to do is replace the stuffing and canvas when you think that it has been damaged enough. With the right set of targets, you can go a long way in training yourself. However, whether you use a homemade one or a commercial one, the key is to keep on practicing. 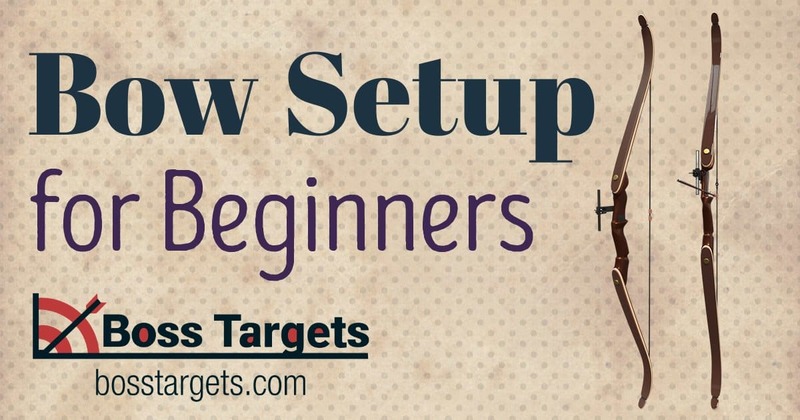 So, go out and set up your target and start shooting.